Widener University is a proud participant in the #YouAreWelcomeHere scholarship program. 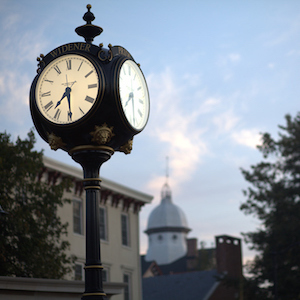 Widener will offer three annual, renewable scholarships that cover a minimum of 50 percent tuition to selected international undergraduate students dedicated to advancing intercultural learning and have demonstrated leadership abilities through prior high school and community experiences. Scholarships are renewable annually providing you maintain satisfactory academic progress. The scholarship is open to students of all academic majors and fields of study. -You must be a first-year international applicant. An international applicant is an individual who holds citizenship in a country outside the United States and who does not also possess US citizenship or permanent residency. -Attend (or have graduated from) a secondary school outside of the United States. -Demonstrate interest and personal initiative in activities involving intercultural learning and exchange. Apply for admission using Widener’s online application or the Common Application and submit all the required application materials. Submit the one-page #YouAreWelcomeHere application (BELOW) and the personal statement by January 15, 2019. To check the status of your admissions and scholarship decision, please check your application portal or contact us at admissionsintl@widener.edu.